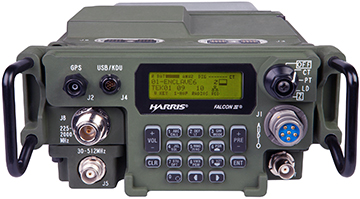 The U.S. Marine Corps (USMC) has awarded Harris Corporation (NYSE:HRS) a $75 million order to provide MUOS (Mobile User Objective System) narrowband satellite communication upgrades to the service’s Falcon III® AN/PRC-117G manpack radio fleet — the order is part of the Navy Portable Radio Program five-year IDIQ contract received in 2017. Harris has continued to invest in the development and deployment of MUOS and other advanced waveforms to add capability to the widely deployed AN/PRC-117G family of radios, as well as its next generation of tactical radios. As a software defined radio (SDR), the AN/PRC-117G was developed to be easily upgradable with new waveforms such as MUOS, enabling customers to increase capabilities economically. The Harris AN/PRC-117G(V)1(C) Multiband Networking Manpack Radio. The MUOS software upgrade will allow Marines to access the new, advanced MUOS satellite constellation that provides next-generation satellite communications, enabling them to talk and more easily share data anywhere in the world. The AN/PRC-117G MUOS software upgrade will also provide the Marines with a greater number of SATCOM users, enhanced voice and data communication, and robustness in disadvantaged environments where they operate, such as urban and high/low latitude locations. 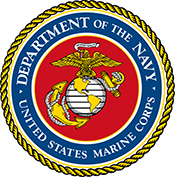 Dana Mehnert, President, Harris Communication Systems, said that adding this capability to the 117G will enable the Marines to leverage the proven radios they have already deployed, fought and trained with to access the advanced capabilities and capacity of the MUOS satellites with a simple software upgrade. The MUOS upgrade also will enable interoperability with other U.S. Department of Defense and allied users who deploy this advanced capability in the future.